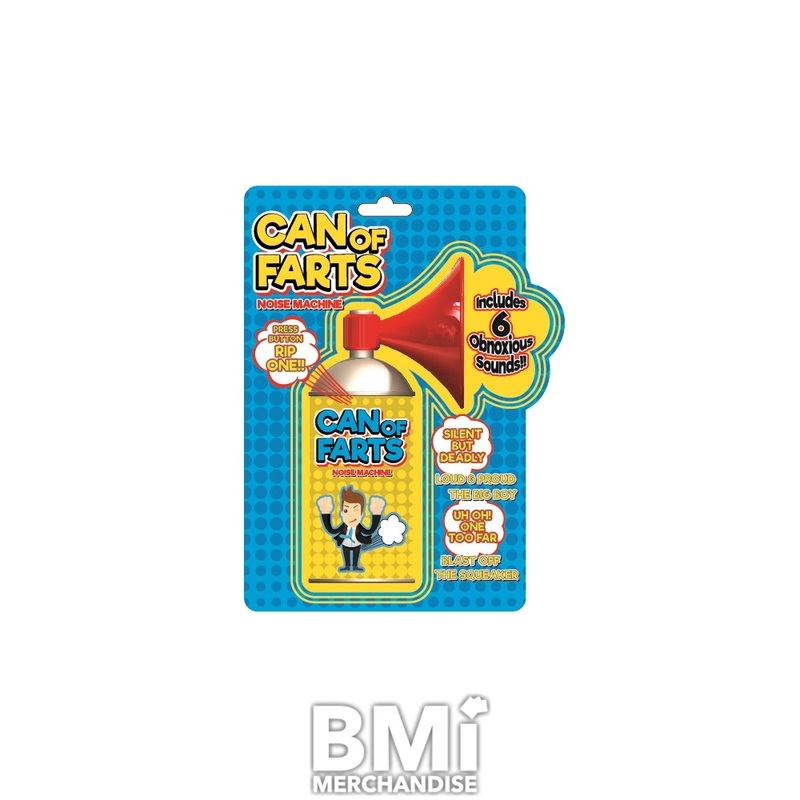 FART CAN. PRESS THE BUTTON AND A FART SOUND COMES OUT! 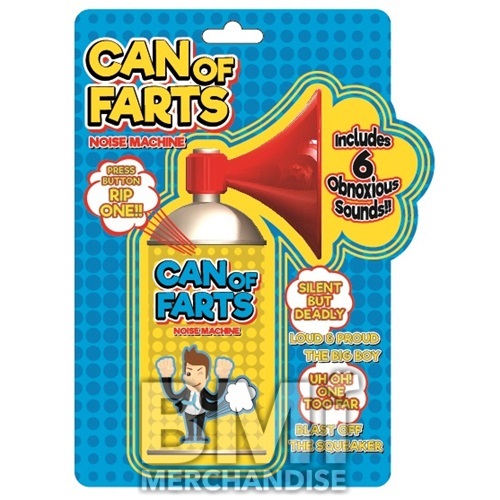 INCLUDES 6 DIFFERENT, HYSTERICAL, OBNOXIOUS SOUNDS TO MAKE YOUR DAY.